Home › Top › Saturday, Ibiza, Hotel Pacha presents: Vila suite..with Gaty Lopez, Joan Ribas and Pablo Hernanz! 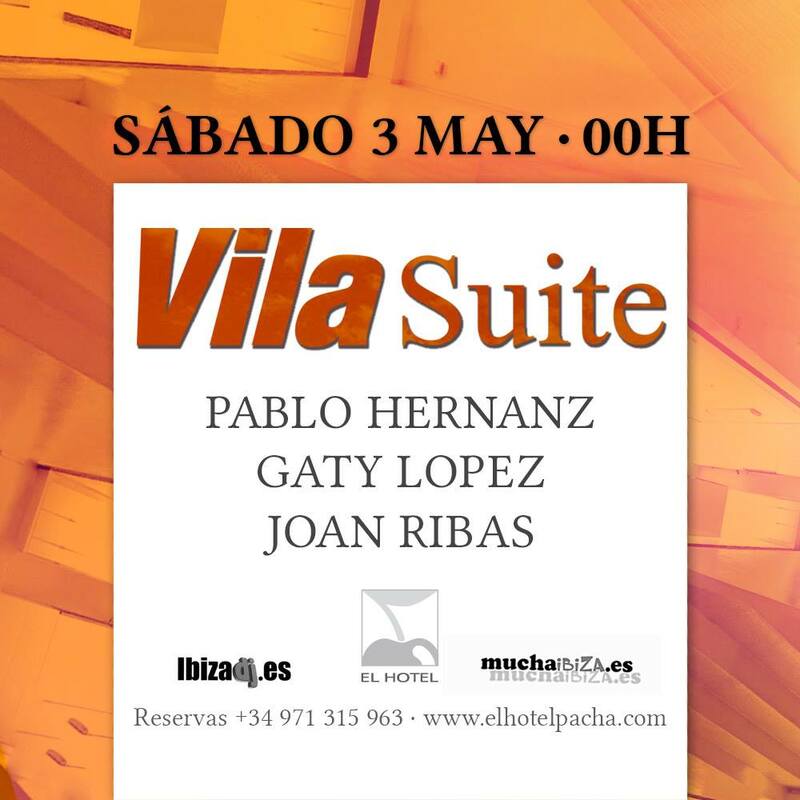 Saturday, Ibiza, Hotel Pacha presents: Vila suite..with Gaty Lopez, Joan Ribas and Pablo Hernanz! Saturday, at El Hotel- Hotel Pacha Ibiza, starting at midnight..will be time of Vila suite! The line up will include Gaty Lopez, Joan Ribas (two great friends of Ibiza link) and Pablo Hernanz! This is the poster of the event! The entry is free!